If you love to drink and eat, there's hardly a place you'll love and feel more comfortable at than a Japanese izakaya. There are hundreds, maybe even thousands of these wonderful Japanese pubs in Tokyo, all serving an array of refreshing alcoholic beverages and a menu of delicious snacks. Planning to explore more of Japan? Book budget-friendly train passes here! 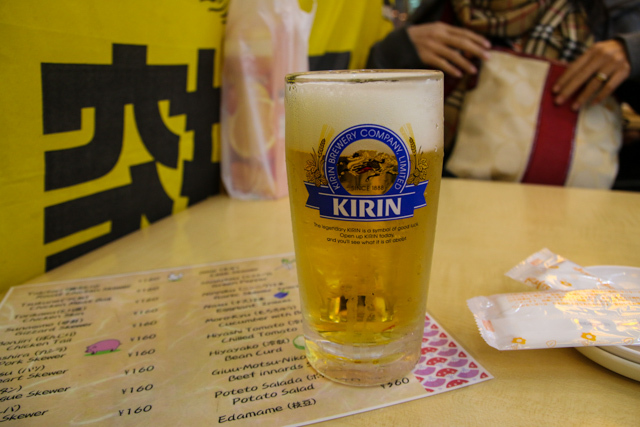 In the shortest explanation possible, an izakaya is a Japanese pub or bar that serves alcoholic beverages and food that tastes good with alcohol. Drinks, tasty little plates of food, unwinding from a serious day at work, and good socializing with friends, is what going to an izakaya is all about. 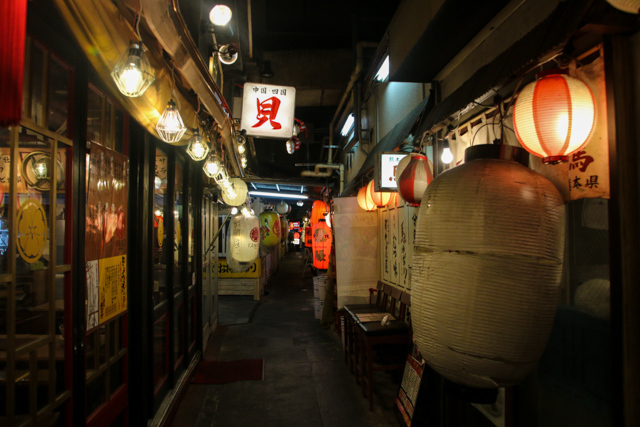 When you're in Tokyo, finding an izakaya is not difficult, partly because there are so many of them, but also because they are normally marked by signature red paper lanterns (which read “izakaya” in Japanese) which dangle from the doorway and roof. 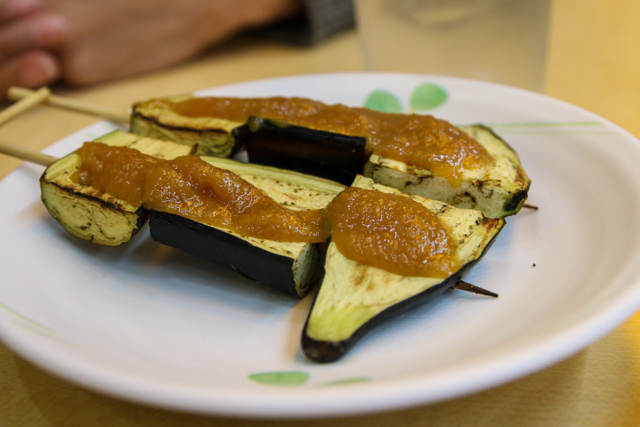 A Japanese izakaya can be anything from a tiny little hole-in-the-wall that's dark and smokey with only a few bar seats, to a huge commercial establishment with many tables and chairs, plus everything in between. Most Tokyo izakayas open their doors in the late afternoon, catering especially to office workers who get out of work, and head straight to an izakaya for a few drinks, pre-dinner snacks, and chance to laugh and chat with their colleagues. In Tokyo you'll see many izakaya customers still wearing suits, and very business professional looking. After you sit down at an izakaya, the first thing you'll want to do is get a drink. There's often the full range of beverages available, including sake and whiskey, and a variety of refreshing Japanese beers like Asahi, Kirin, and Sapporo. Drink in hand, you can then take your time to navigate through the menu to see what looks good. Think of the food at a Japanese izakaya like the equivalent of Spanish tapas; small plates of tasty salty food that are meant to be shared with everyone at your table. Some of the popular foods to eat at izakayas include sashimi, karaage – fried chicken, yakitori – skewers of grilled meat, okonomiyaki – savory pancakes, and gyoza – dumplings. Some of the larger modern izakayas have an incredibly extensive range of food available, and other smaller izakayas might only have a few house specialities or only serve something like yakitori. At most izakayas, you have to pay per dish or drink you order, but there are a number of well-known izakayas in Tokyo where you pay a flat fee, and for a designated amount of time (usually 2 hours or so), you can eat and drink as much as you please. If you're really ready to drink and eat, and do it fast, this is a good option to check out. While dining at restaurants in Tokyo is often a quiet peaceful experience where you shouldn't raise your voice too loud to respect other diners, izakayas are the complete opposite. They are usually loud places, with each table talking and laughing and having fun. 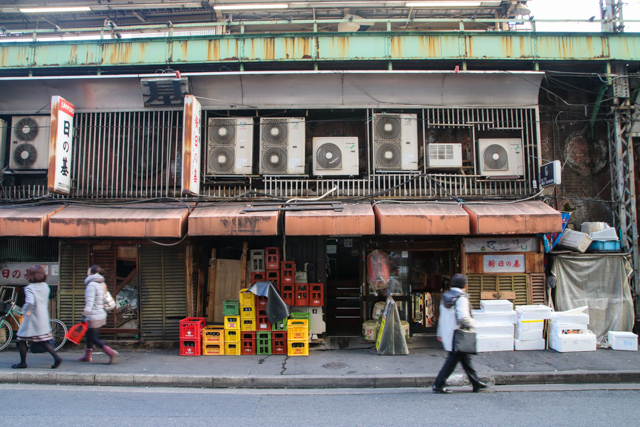 In Tokyo, there are countless izakayas, but underneath the railroad tracks and slotted into small walking alleys, are where izakayas seem to cluster. Experiencing an izakaya when you're in Tokyo, or elsewhere in Japan, is not only a great place to have a drink and some delicious food, but it's also a cultural glimpse into the drinking and social scene of Japanese culture. This post was brought to you by the Bottle-O. 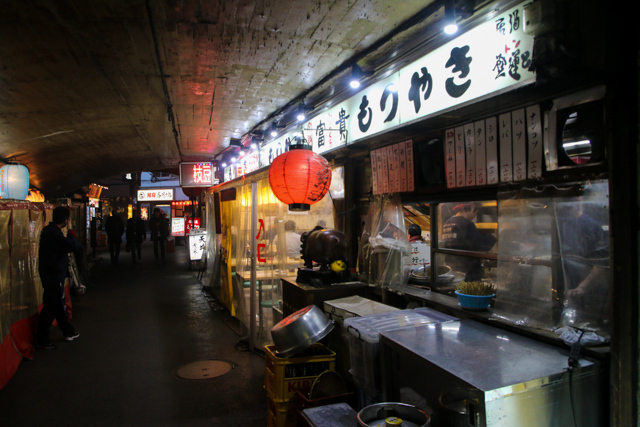 I loved visiting the Izakaya in Japan. My favourite was in the rural mountain town of Yufuin in the south where we were the only western visitors in town. Its was a little whole in the wall place with mostly just counter seating, great beer and the best assortment of skewers I have had despite not know what meat I was eating. Looks like delicious foods. As I looked at your pictures, my saliva production is high :) Someday, I’m gonna visit Izakaya too. Thanks for sharing. Looks like delightful meals. As I considered your images, my spit manufacturing is high :) At some point, I’m going to visit Izakaya too. Thanks. Izakayas are great.. but I didn’t expect such a high bill for a couple of plates and about three beers! It was over $60. Thankfully, that only happened the once – after that I stuck to eating in standing restaurants and drinking on the streets. looks really interesting, would love to know if its an expensive place to be like the comment above or does it vary? 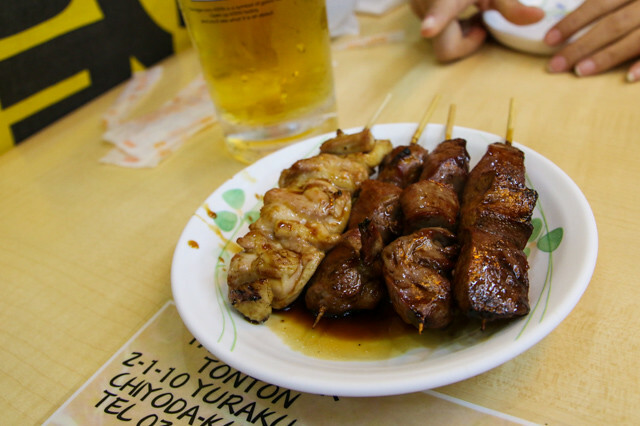 I love an Izakaya…small, friendly, and good food…with some beer. Is there anything better?